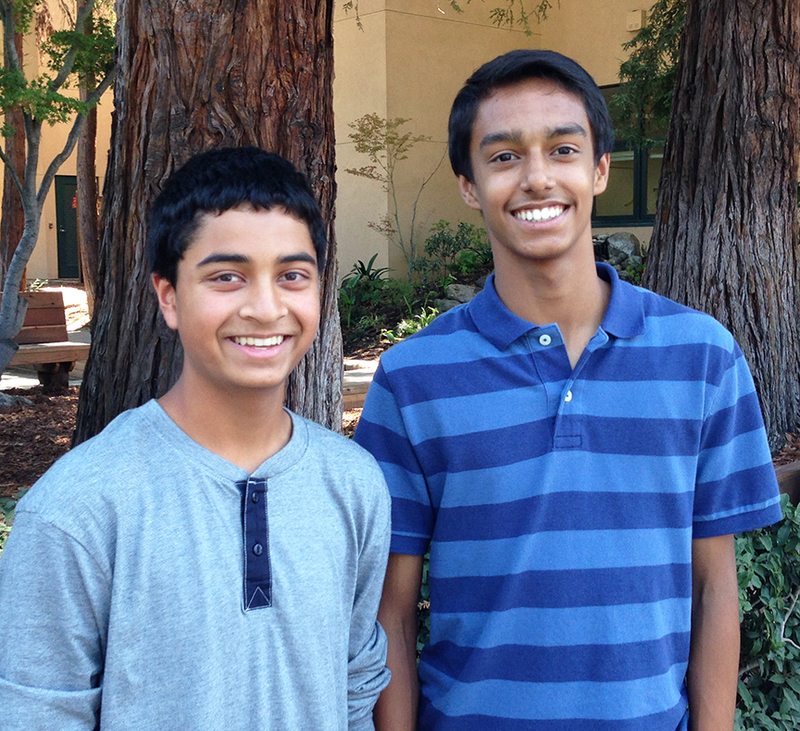 Update: Harker has a third student in the Broadcom MASTERS science competition! Cameron Jones, who started 9th grade at Harker this year, is a semi-finalist along with classmates Anjay Saklecha and Krish Kapadia. Jones graduated from Corte Madera School last June and his project involves infusing fine carbon powder into rubber bands so they can be used to measure biometrics. Check out his story in The Almanac. Best of luck to all three boys in the finalist judging, tomorrow! Go Harker Researchers! “As a Broadcom MASTERS semifinalist, you have already proven your ability to succeed in these subjects, which will lead you to an exciting career in any field,” noted Allie Stifel, Broadcom MASTERS program manager. The next step in the Broadcom MASTERS (Math, Applied Science, Technology and Engineering Rising Stars) takes place on Sept. 2, when 30 finalists will be announced from among the 300 semifinalists. Finalists will attend the Broadcom MASTERS Finals Week competition from Oct. 1-7, 2015 here in Silicon Valley, where they will present their research and compete in hands-on challenges for top prizes, including funds to attend a STEM summer camp, iPads and the Samueli Prize of $25,000. Last year, Harker had five Broadcom MASTERS semifinalists, and Rajiv Movva, now grade 10, was a first-place mathematics award winner in the competition. Movva’s project, which focused on discovering a natural method for treating type 2 diabetes, earned him $3,500 and an Apple iPad; he also got to meet President Barack Obama at the White House.